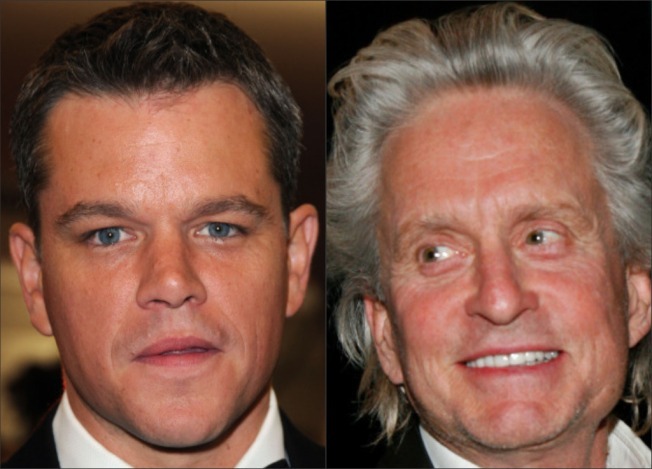 Matt Damon and Michael Douglas are ready to lock lips in a new movie about Liberace. A kiss is just a kiss, but the world may not be ready for this one. Matt Damon said his next role, playing Liberace's lover opposite Michael Douglas, will have him locking lips with the leathery screen legend. "I saw Michael last night," Damon told USA Today's Donna Freydkin. "He comes up and says, 'Get your Chapstick ready.' It's going to be a great movie. My role is a great role. But Michael's role? It's spectacular." The movie will be directed by Steven Soderbergh, the man who directed Damon in "The Informant." All Damon had to do for that flick was gain 30 pounds. Soderbergh told a French newspaper at the Deauville Film Festival that Douglas, who has played characters like the rogue adventurer of "Rmancing the Stone" and the greedy Gordon Gekko in "Wall Street," is ready for a new role, as the sequined entertainer and Vegas legend who died of AIDS in 1987. "We've already done some costume and wardrobe tests on Michael, and they're very, very, very good." Soderbergh told a French newspaper at the Deauville Film Festival. "I swear to you, Michael amazed me. He crushed it."